Best known for his evergreen movies, Teesri Manzil, Qayamat Se Qayamat Tak and Jo Jeeta Wohi Sikandar, Nasir Hussain was amongst those few in the industry who seldom gave a flop. Father to director and producer Mansoor Khan, uncle to the perfectionist Aamir Khan, Nasir Hussain was a writer, producer and director par excellence. Commemorating his contribution to Indian Cinema, Zee Classic, with its proposition Woh Zamana Kare Deewana, has curated over a month-long festival titled Nasir Hussain Film Festival. 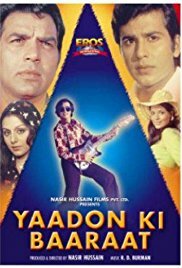 Starting 7th January, the festival will showcase his greatest hits including Yaadon Ki Baarat, Hum Kisise Kam Naheen, Teesri Manzil, Zamaana Ko Dikhana Hai, Qayamat Se Qayamat Tak and Manzil Manzil, every Sunday at 12 noon. 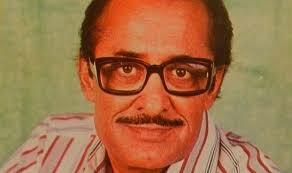 For all the music lovers, you may recognise Nasir Hussain better, for he is the one whose songs are most remembered. Still guessing? O Haseena Zulfon wali, O Mere Sona Re, Churaliya hai tumne jodil ko if not the original, the remixes will ring a bell. Adding to this list are, ‘Aye Mere Husafar’ or ‘Papa Kehte Hain’! You may watch Nasir Hussain Film Festival starting 7th January, every Sunday at 12 noon only on Zee Classic. If you like this article, Please let us know on our Facebook page.